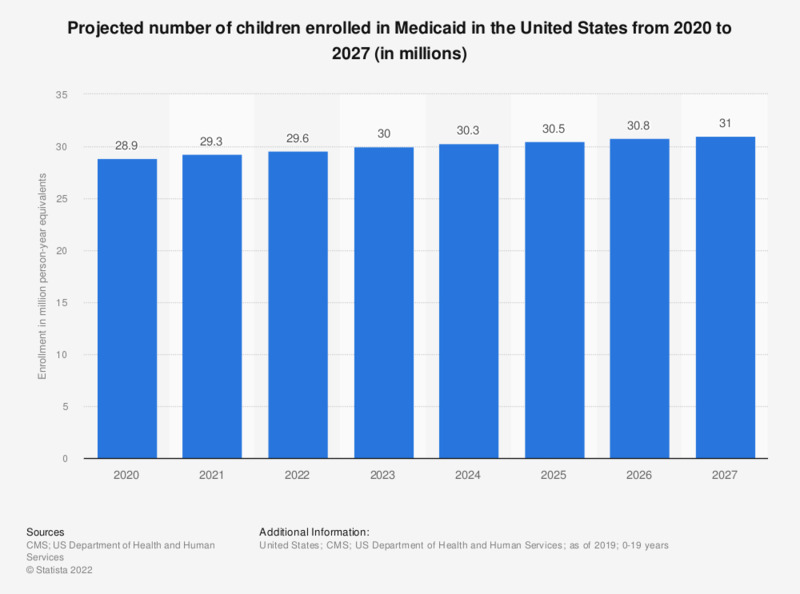 This graph shows the projected number of children enrolled in Medicaid from 2019 to 2026. The average enrollment of children in Medicaid is expected to reach 31.3 million in 2026, up from 29 million in 2019. All numbers are "person-year equivalents". The source defines the "person-year equivalent" as the average enrollment over the course of a year. Everything On "Children's health in the U.S." in One Document: Edited and Divided into Handy Chapters. Including Detailed References. Statistics on "Children's health in the U.S."